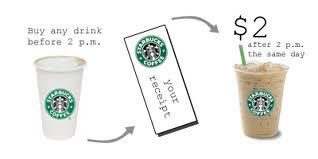 In light of Starbucks treat receipt being back…. What Should You Use to Sweeten Your Morning Cup of Joe?????? The number one question I get when people find out I am going to be a dietitian is always something like “What color packet should I be using to sweeten my coffee?” I can’t tell you how many times I’ve been asked this question, so I decided to write a post discussing my opinions on the options. The second most common question I get is “What about sugar substitutes and weight gain?” The quickest way to answer this question is … the verdict is still out. We know that artificial sweeteners are calorie free (or very low calories), so they won’t make you gain weight in that regard. However, the concern is that they may increase your appetite or cravings for sweet foods. Other possible concerns are that you are eating too much of the foods containing them or the wrong foods. In other words, since it’s a sugar free candy or bakery item you think it’s okay to eat more of it. This kind of thinking could be bad for your waist line because foods made with sugar free ingredients are NOT always calorie free, they often have lots of fat and sodium added into them to make them taste good. 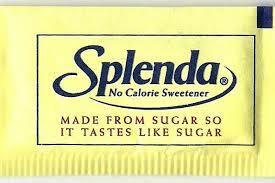 Next, you will want to know if artificial sweeteners cause cancer? Well, they’ve all be cleared by the FDA so as of right now the generally agreement in the medical field is no. However, some have been associated with side effects. I will mention them, but, keep in mind you would probably have to consume massive amounts to invoke any kind of reaction. 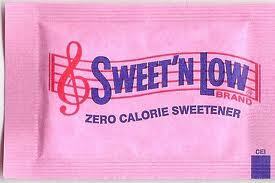 Pros: It’s 200 times sweeter than table sugar and calorie free. The body doesn’t break it down, so it goes out in the urine in the same form it came in. Cons: Lack of testing and long-term human studies. It contains methylene chloride which in vapor form (think paint thinner) is considered a carcinogen which can cause headaches, depression, nausea, mental confusion, liver effects, kidney effects, visual disturbances, and possibly cancer in humans. However, on one hand the FDA does not currently consider Ace K to contain a carcinogenic ingredient. On the other hand, the Center for Science of Public Interest has urged more research on the matter questioning the validity of the current studies. About: Made from amino acids aspartic acid and phenylalanine. 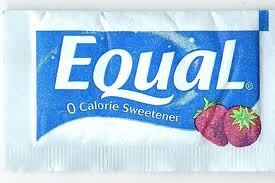 Pros: Also 80 to 200 times sweeter than table sugar and virtually calorie free (because so little has to be used.) Regarded as safe by the FDA up to 50mg per kg of body weight per day (~4 cans diet soda/day) and is one of the most widely used sweeteners by the food and beverage industry. Cons: It is broken down in the body which makes it unsafe for those who are sensitive to phenylalanine (such as people with PKU.) Extreme controversy exists in regard to its safety. Large industry funded research has determined that it is safe, however smaller independent research findings are not all in agreement. Concerns include neurological and psychiatric side effects, as well as possible links to cancer. Pros: It doesn’t break down in the body so it comes out the way it goes in (in the same form.) It’s 600 times sweeter than sugar so much less can be used. Approved by the FDA, extremely stable in heating conditions (such as baking), and approved by the Center for Science in the Public Interest. Cons: Small studies have shown possible side effects such as headaches, cramps, bladder and skin irritations. Others have found that it may decrease healthy intestinal bacteria and other possible negative effects on the bodies immune function. About: A banned was proposed after a study linked it with bladder cancer in rats. The ban was never enacted and was dropped when it was determined the bladder cancer in rats occurred through a mechanism that does not occur in humans. Pros: Calorie free and 300 times sweeter than sugar so little can be used. Cons: It’s been shown to cross the placenta, so pregnant women are advised to use as little as possible since there is no way to tell for sure if it has any negative effects. Center for Science in the Public Interest recommends avoiding it. About: Considered an herbal extract, it is 40 times sweeter than sugar and derived from the stevia plant leaf (also known as sweetleaf). Pros: It’s been used in South America for 1,500 years plus without a problem. 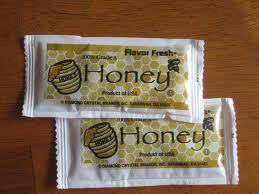 It’s natural, calorie free, and much sweeter than sugar so less can be used. Cons: Truvia contains rebianna (stevia extract) and sugar alcohols (which can cause bloating, diarrhea, and cramps in large amounts.) It’s the new guy on the market so little research has been conducted on it and the research that has been done had controversial outcomes. Some studies found it may have anti carcinogenic properties and others found possible pro carcinogenic effects (in lab rats). The evidence is far from clear. 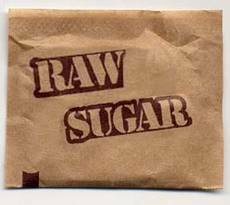 About: Produced from sugar cane and sugar beets. Pros: It’s natural and has no link to cancer(directly). Cons: It is high in calories so too much will cause weight gain (obesity is related to an increased risk of many types of cancer and chronic illness). It contributes to tooth decay and offers no nutritional benefit other than empty calories. About: Made by bees (I know… duh. )and contains trace vitamins and minerals. Pros: It’s natural, taste good, and won’t cause cancer. Cons: It shouldn’t be given to anyone under the age of two, its high in calories (again weight gain–> obesity –> increased risk of chronic disease and cancer), and there are environmental concerns with the production of honey. The bottom line is I don’t sweeten my coffee… I generally like it black (unless it’s from Starbucks). 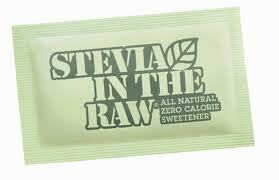 If I do use a sweetener the ones I typically buy are stevia/truvia, honey, or agave nectar (not covered cause it isn’t usually available at a coffee house.) If you sweeten your coffee every morning I’m only concerned with which one you are using if you have a chronic disease (like diabetes) or other related conditions that may be affected (like PKU). 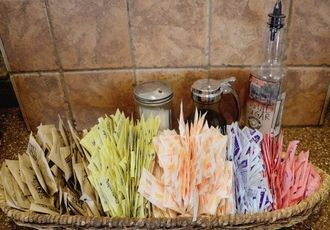 I might also be concerned if you are using 15 packets to sweeten each of your 15 cups of a coffee a day (then we have bigger issues to fry)…. Other wise 1-2 packets per day isn’t going to make any drastic impact in your life… chose whatever fits in with your health goals the best! There are many areas in our life’s we can improve, starting our day with our health goals in mind is a great way to begin. However, if you start your day with “calorie free” splenda in your coffee paired with a donut, I’m more concerned with the choice of a donut, then whether splenda was the right choice for your coffee. Catch my drift? 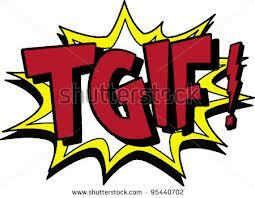 Now keep all that in mind for Monday because it is now time (or close to time) to do the TGIF dance! I played hookie and worked a half a day so I could head out to Phoenix for Paul’s work’s family weekend! Wahoo! I’ll be instagraming randomly and recapping at the end of the weekend. Adios! Previous Post: « Three Big Meals or Small Meals and Snacks?